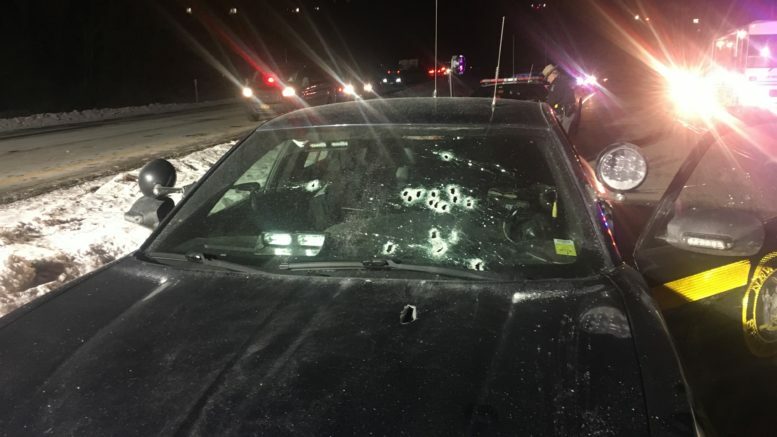 On Jan. 28, a New York State Trooper, Timothy S. Conklin, a 28-year veteran, was shot while pursuing Nicholas P. Philhower, age 30, on an unauthorized use of a motor vehicle complaint. Pictured, is the windshielf of the Trooper’s car. Police photo. On Jan. 28, a New York State Trooper, Timothy S. Conklin, a 28-year veteran, was shot while pursuing Nicholas P. Philhower, age 30, on an unauthorized use of a motor vehicle complaint. 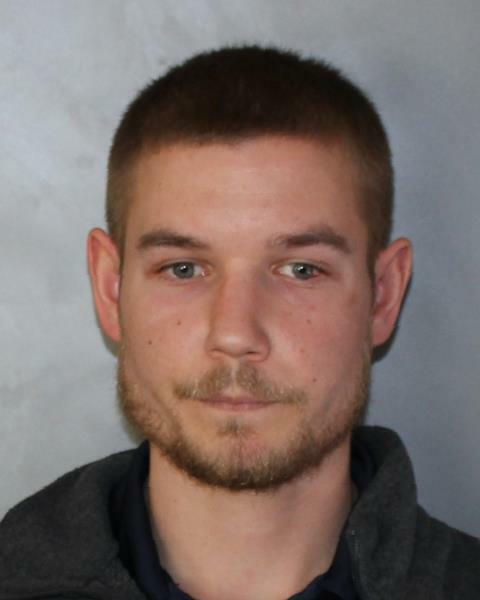 According to State Police reports,Philhower had taken his mother’s motor vehicle without her permission and she requested he be located and arrested. At approximately 6:20 p.m., Trooper Conklin observed the suspect vehicle traveling west on State Route 17 in the Town of Kirkwood. Nicholas P. Philhower, age 30. Police photo. The Broome County Coroner released Philhower’s body to Lourdes Hospital for autopsy. Broome County District Attorney Stephen Cornwall responded to scene. The New York State Police were provided assistance from members of the State Department of Transportation, The Five Mile Point Volunteer Fire Department, the Broome County Office of Emergency Management, and Superior Ambulance. 1 Comment on "Trooper shot; suspect identified"
Way to go Trooper Conklin. I am glad you are okay and ended the threat. God bless you sir.